Geek Native’s TradeCraft Bonus column is an occasional visit to sites like Etsy where we see what gamers are making for gamers. 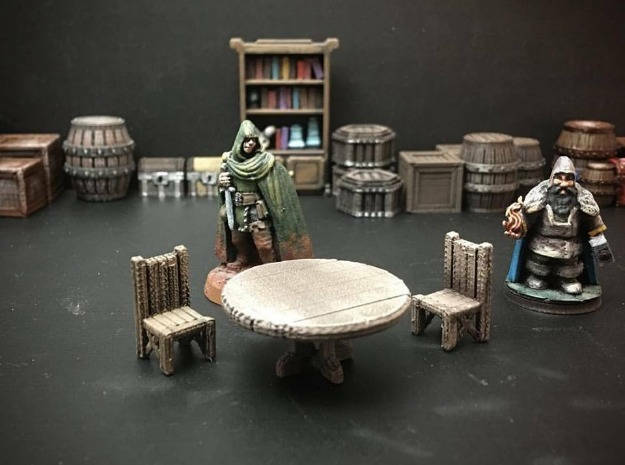 Today we’re looking at tabletop map sized terrain and furniture; we’re talking about chests to smash and barrels to hide behind. Geeky Gifts For All has over 100 reviews and maintains a review rating of over 4 out of 5 stars on Etsy. 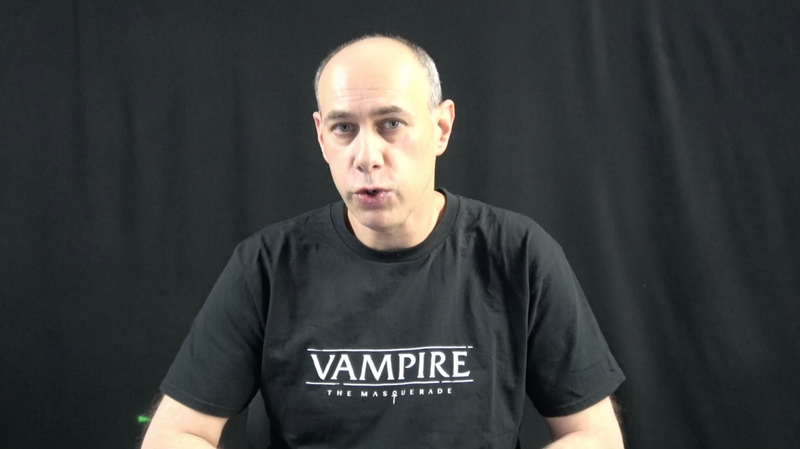 It’s run by Adam O’Brien and sells a host of tabletop RPG goodies from dice towers, to t-shirts to map enhancements. It’s the map enhancements we’re going to look at here. Each item in this photograph can be bought separately or bundled together for a discount. Not counting the two characters. These are 3D printed, and hand finished but are not painted before being sent to you. This bundle is designed to help flesh out your tabletop towns a little more. You have a choice of a small package if you buy this set or a large one. The small bundle contains 4 fences, 2 training dummies, 2 archery targets and 2 roadside signs. The larger package has 8 fences, 4 training dummies, 4 archery targets, 4 road signs and 3 rowing boats. 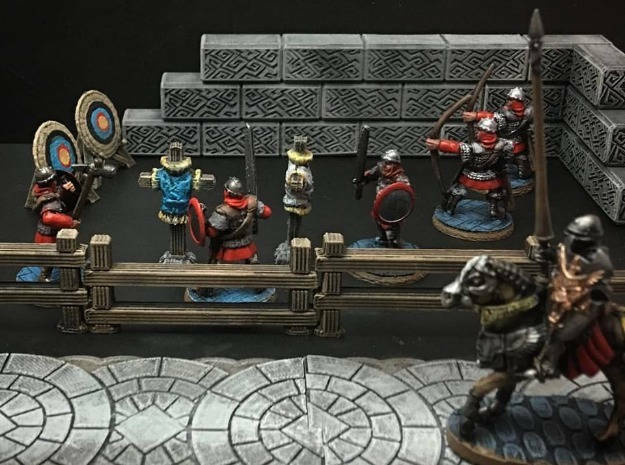 This well, like the rest of the items in this post, is 3d printed and hand finished but not painted. 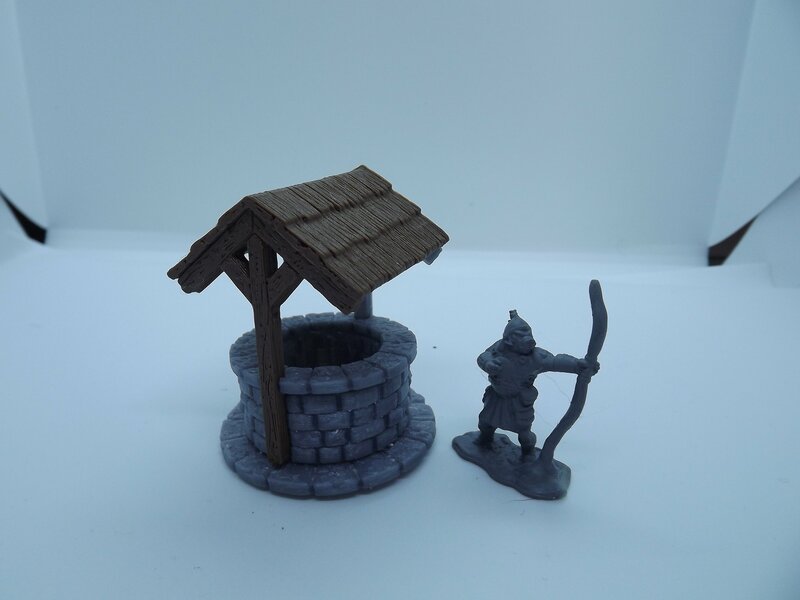 In this case, if you’ve a 3d printer of your own, you can download the design files for the well from Fat Dragon Games. 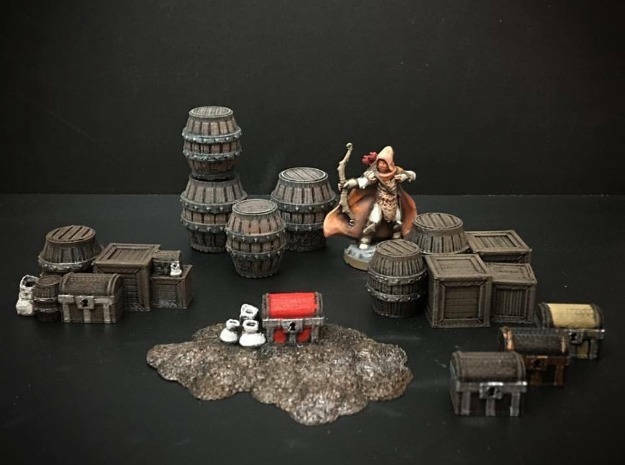 This collection of scatter terrain, the stuff that you might find laying around in a bandit’s lair, is only available bundled together. It’s 3d printed, hand finished, but not painted. The bundle holds 4 single barrels, 4 separate chests, 2 different clusters of barrels and chests as well as a single pile of loot. 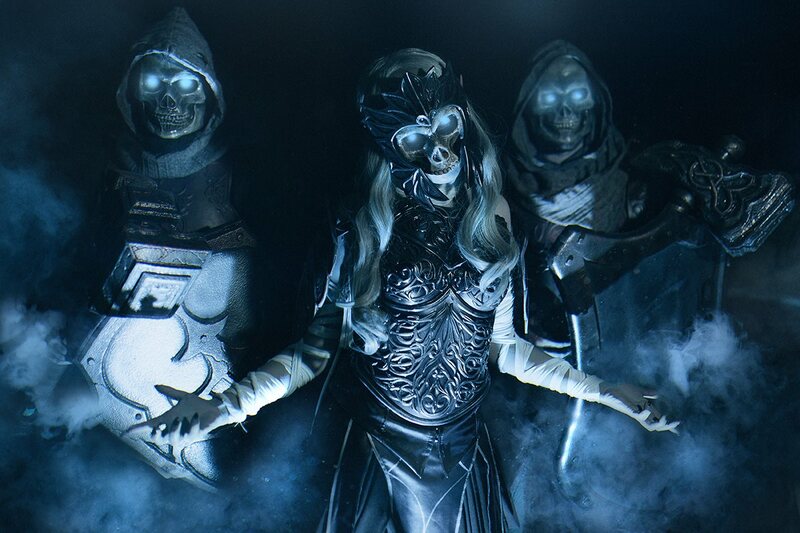 The models were designed by Arian Croft of Ill Gotten Games. 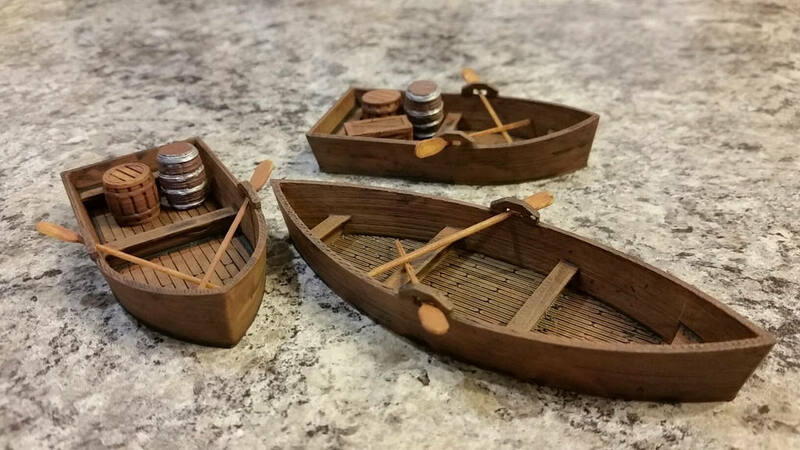 A collection of 3 rowing boats scaled to suit 28mm miniature gaming. Each boat has two oars and the larger boat a sail.